When Shelly Terrell and I first discussed the idea that spawned #Edchat neither of us had any idea what it would become. It started as a place to begin, conduct and record some thought-provoking discussions about topics in education that we had an interest to discuss. We created the hashtag, #Edchat, selected a time, contacted Steve Anderson for techy help, and we were off and running. We started with a few people who followed us and we discussed topics on the fly. We began to involve more and more people, and soon needed more of a structure. Steve developed our #Edchat Poll and we began to publicize the established day and time of the chat. It truly was a case of “If you build it, they will come”. It was that simple. We were not building on other models. We were not pioneers, but more like novices on Twitter. We were in new territory, but we knew that we needed to develop strategies for success. We added moderators as we grew, and we needed to archive the sessions to accommodate those who were not able to attend live. Being educators we constantly assessed, reflected, and modified. 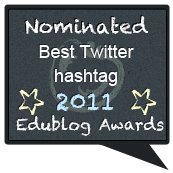 The hashtag, #Edchat, soon grew beyond a hashtag for a discussion. It was now a place for educators to shout out their ideas for education to an audience far beyond the limitations of their personal followers. 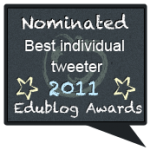 Anyone following the #Edchat hashtag would receive those tweets. Additionally,we needed to create an afternoon #Edchat to involve the global Time zones. There are now requests for a third chat to involve more time zones. The chats grew from fifty participants to well over a thousand for every session. 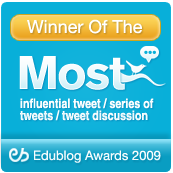 During an #Edchat tweets come in at a rate of about one tweet every second. We had a need to create a Facebook page to accommodate more people. We also created a Wiki Page to act as a depository for the #Edchat Archives. It has grown far beyond that which we originally discussed almost a year ago. Considering the size of the chat, and the speed at which ideas fly in, participants need a strategy to get anything from #Edchat. The first consideration is to select a platform to maximize the flow of information. I use TweetDeck others use Tweetgrid. The last thing one wants to use is the Twitter platform itself. I need three screens. One screen follows #Edchat. That screen rolls by quickly with everyone’s #Edchat tweets. The second screen is for my Mentions. Anyone directing a tweet directly to me appears on this screen. The third screen is my DM or Direct Message screen. This is for any followers sending me personal messages during the #Edchat. Others have their own strategies, but this is what works for me. There is no way for anyone to follow every #Edchat tweet as they roll in at a rate of over 3,000 in an hour. My strategy is to look at this as a very big party. I can’t talk to everyone, but I can pick and choose a few folks to converse with. I start by posting a few provocative educational questions pertaining to the topic. Usually, two or three responses will roll in and we are off and running. More and more people join in as we go. There are many discussions like this going on simultaneously in an #Edchat. The only way to see it all is to review the Archives which are posted shortly after the #Edchat conclusion. The official length of an #Edchat is one hour, but many people hang in longer to continue. The Live engagement during an #Edchat creates a great deal of energy. Participants are usually enthusiastic and driven in their contributions and responses. The lasting effect of #Edchat, however, does not happen until after the chat is over. 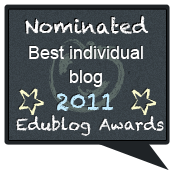 Almost immediately educators who participated begin posting to their blogs those ideas that were generated and expanded during the chat. Even more posts appear during the week that follows with more reflection and deeper thought on the topic discussed. Beyond the great subjects explored during the #Edchat there are a few other elements that I appreciate about this weekly event. The ideas are the center of the discussion. 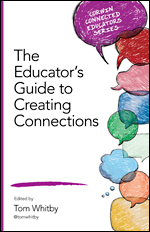 Members of the #Edchat discussions are students, parents, teachers, administrators, professors, authors, and some people just interested in the discussion. These participants leave their credentials at the door and discuss the topic with their ideas and contributions evaluated with equal weight within the discussion. The ideas stand on their own to be reflected upon and evaluated based solely on their own merit without regard to who contributed the initial thought. Contributors do not seem to be limited or discouraged by the 140 character limitations. I know this has all been said before and written about in a number of Educational Journals, as well as many Blogs, but there is always someone who is just joining us or creating a Professional Learning Network. We are even highlighting #Edchat to educators by conducting a large group participation #Edchat at the upcoming ISTE10 Conference. 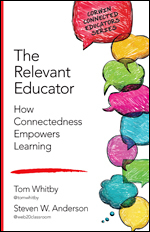 Anyone having questions may contact me on Twitter @tomwhitby.You may want to join us on The Educator’s PLN Ning at http://www.edupln.com. 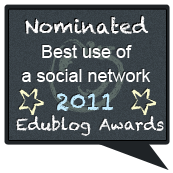 Visit the #Edchat Page on FaceBook at http://bit.ly/aN71KJ. 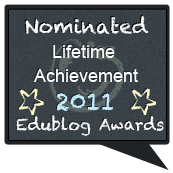 Check out the #Edchat Archives of all the previous #Edchat discussions at http://bit.ly/c6yowP. Your comments about this post or #Edchat are most welcomed here. It is neat to see how you started- I didn’t know the story. #EdChat is such a great pipeline of dialogue, information, disruption. It is a great way to democratize the discussion, because like you said, anyone can participate. I remember my first #edchat in Aug ’09, during a teacher workday. I accidentally saw a few tweets from you and Shelly about homework I believe. I jumped in, not knowing what I was getting into. After I realized I should search the hashtag, my first thought was, “This is so cool! I’m talking to people all over the world about this.” It took me a few more weeks to realize it was a regular event. Since then, I’ve missed very few. All that to say, #edchat has brought about so many positive changes in my practice as a professional educator. The benefits has extended beyond my job to my personal life through the friendships that have been built. I am extremely happy with the outcome of the serendipitous event last August. I have found the #edchat experience to be valuable and disorienting due to the pace at the same time. The 3,000 tweets/min works out to 125/hour or 2/min if you expand it to 24 hours. If it keeps growing, it could easily expand to an ongoing 24/7 experience that one could dip into any time they wanted. Certainly there are enough educators in various time zones with good ideas to make this happen. If the current model no longer works, we need to rethink it. Rather than an hour here or there, it could ultimately be an all the time experience with weekly topics. How cool would that be. In case you’re interested in visiting the roots of synchronous educational discussions on Twitter, the earliest events were under the tag ‘Educhat’. It was the popularity of these early chats that regularly hung up in Twitter when participants overstepped their Twitter update limits. A few weeks in, ‘educhat’ regularly became a trending topic on Twitter, leading spammers to invade our discussions at their peak. I think our most effective use of this tool, resulted when we framed our discussion on the topic ‘Gaming in Education’. In preparation for that chat, we harnessed a suitable video; journal article; and focus questions to enrich the debate. Thanks Tom for another great post! I am putting this in my archive as it will be a great tool to give to the newbies that I bring into the growing educators PLN on twitter. What an interesting post! I’ve only discovered #edchat in recent months, but it has never failed to provide food for thought long after the hour is over. I always come away with new ideas to explore. I don’t always make it to #edchat, though, being in Morocco, and so a third chat time, or a weekly chat theme might be interesting. I think the concept of #edchat is so elegant and powerful – though it’s hard to keep up, I’m left wanting more! Success! 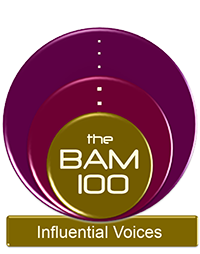 Congratulations to founders and moderators for creating/facilitating such an exceptional learning tool. Last night, I participated in my first #scichat. It was great as a chat focused on a specific content area – which, in itself, is very broad in terms of methods, approaches and content. It allowed me to zero in on some specific strategies and questions of very practical and immediate application, and make connections for collaboration with other educators teaching similar content. Fantastic! This experience left me wondering if there are other chats out there that are more specific in nature? Does anyone know of any? Or, if there aren’t any, should we start? Maybe one for elementary teachers (#elemchat ?) specifically, or social studies (#sschat ? ), language arts (#lachat ? ), math (#mathchat ? ), or broad topics like differentiation … Maybe just start with deciding on hashtags then graduating to a weekly chat? In the meantime, I plan to make the most of my summer time off and stay up late on Tuesdays to keep up with more @edchats – the choice of topics never fails to pique my interest. Bravo again to the #edchat folks for facilitating such a formidable option for educators wishing to stay current! I was a regular #edchat participant last fall, but then went away due to a class conflict this spring. 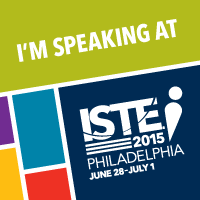 In May I tried to participate once again, and was blown away by how much #edchat had grown. Unfortunately, it left a sour taste in my mouth, and I haven’t followed an #edchat since. The chat was moving too quickly (especially when tracing replies back to the original tweets), I felt even more constrained by 140 characters, and I came away feeling strongly that Twitter wasn’t the right tool for the job. Twitter has a low barrier to entry and is inherently open, but not really designed for this kind of task. Forums are too slow, IRC has too high a learning curve, and some other chat platforms are too closed. Is anyone considering an alternative? From my experience in other online group discussions, I’d like to see a group of us experiment with Google Wave. As long as we’re doing multiple #edchats, why not experiment with some other tools? I’m pro-wave because (a) there’s no 140 character limitation, (b) waves contain non-linear message threads, which take some getting used to but are a logical way to organize replies, and (c) Wave is now open to anyone who wants an account. Is anybody up for this? Or are most other #edchatters content with Twitter? Thank you for taking into comsiderations newbies like myself. I am following oyur posts with great interest!